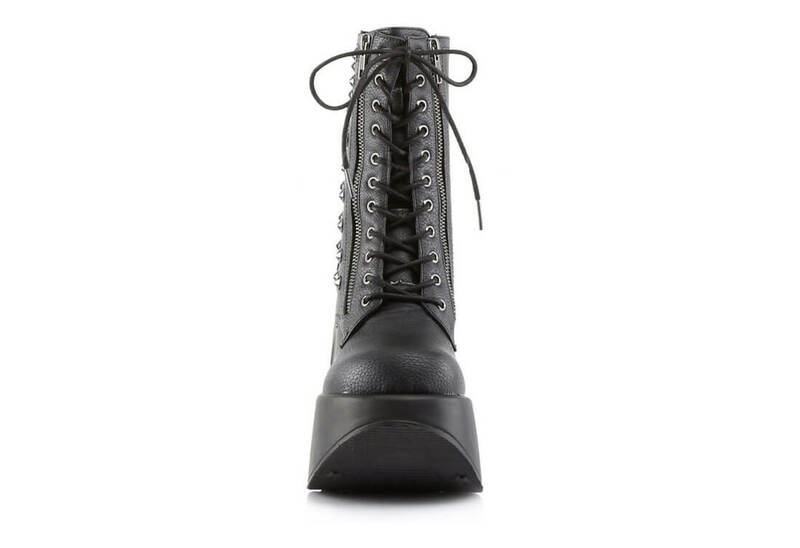 Vegan black platform boots with 5 inch wedge. 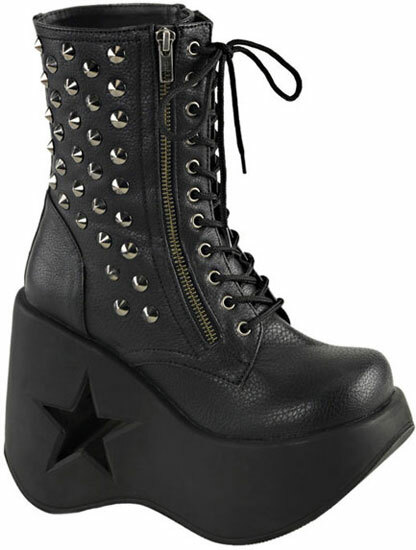 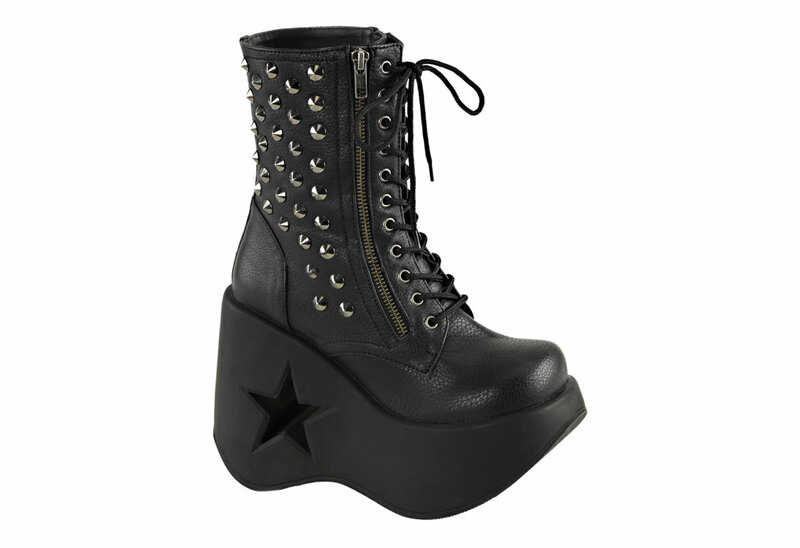 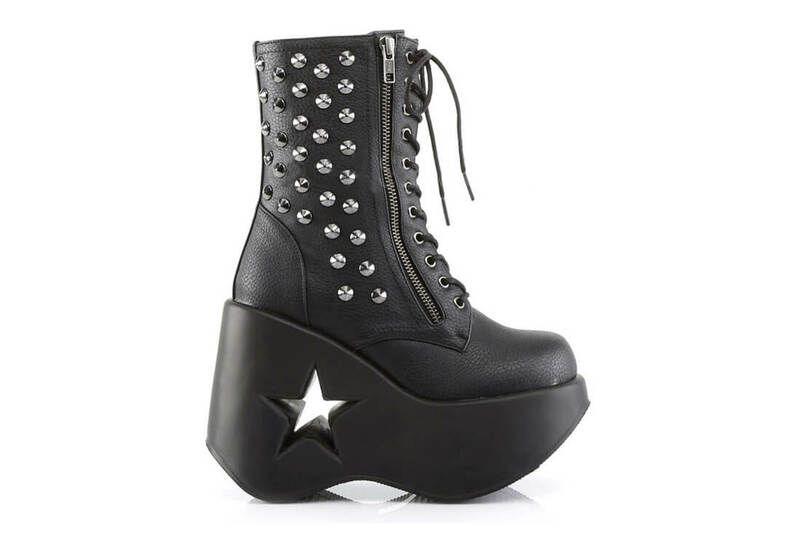 These platform boots have a Star cut out in the platform with lots of cone studs on the front and back of the boots. 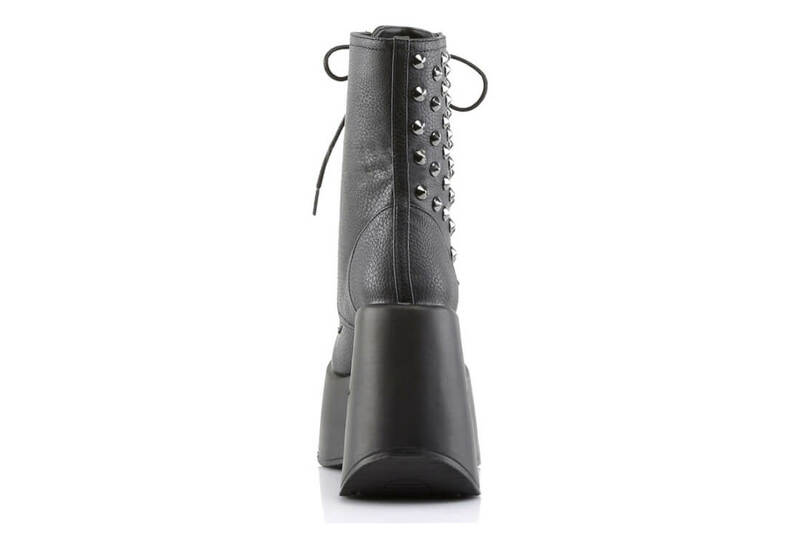 They have a side zipper for easy on and off and an eleven eyelet lace-up front. 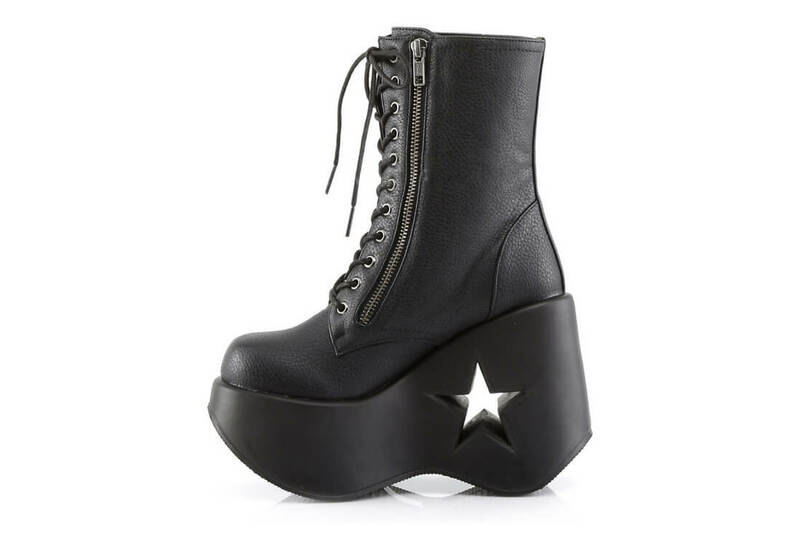 Definitely a very cool looking pair of platform boots.